This year, you probably made a resolution to lose weight, eat healthier, get a better job, or save more money — maybe even all of the above. But while you’re working on big plans to do a makeover on your life, why not make a change where you spend most of your life: at home? A home that runs smoother makes your entire life easier, and it might even help you reach your goals for the year! Take on these home resolutions for a better life in 2014. 1. Maintain your home. It’s difficult to make any progress at home if you feel like it’s falling down around you. A surprise electrical problem, plumbing issue, or broken appliance can come when you least expect it, but proper maintenance can help prevent it from happening in the first place. Simple maintenance can help you avoid water damage, extend the life of your appliances, and keep your home running smoothly and safely. Choice Home Warranty’s handy Home Maintenance Checklist shares maintenance tasks by season, and lists monthly tasks to take care of as well. 2. Get organized. This one may already be on your list, and it starts at home. Don’t wait until spring to do a deep cleaning, especially if you’re stuck indoors this winter. Make all that time inside more pleasant with a cleaner home-and keep yourself busy. Remember, you don’t have to organize your whole house all at once. Start small, organizing closets and cupboards one at a time. Organize your manuals and warranties to keep them handy for home maintenance, and be merciless when clearing out the clutter in your home. Commit to organizing one room or area of your home each month to avoid becoming overwhelmed. Keep it up, and you might just be able to reclaim that spare room, basement, attic, or garage that’s accumulated too much junk to be useful. 3. Go green. Many resolve to be healthier and lose weight this year. Make that dream a reality for your home! Put your home on a weight loss plan to improve efficiency and reduce your monthly bills. It can pay off this year and for many years down the road. This home resolution can be as simple or involved as you’d like. Small changes like being more mindful of the water and lights you’re using, setting your air conditioner a little higher, and replacing burned out incandescent light bulbs with new compact fluorescents can all add up. If you’re planning to update any appliances this year, make sure to look for the Energy Star label. Energy Star appliances are more energy efficient than others and will save on operating costs. You may also qualify for a tax credit with your purchase. If you want to take larger steps toward energy efficiency, invest in an energy audit, which can tell you where you’re wasting energy (and money) in your home. An expert can tell you where you’re lacking in energy efficiency and offer suggestions for improvement. You could literally have money floating out of your windows! 4. Improve safety and prepare for a disaster. We all know you’re supposed to check your smoke detector every month, but do you, really? Make 2014 the year of preparedness by resolving to take care important safety tools and precautions. Like improving energy, improving your home’s safety starts with small steps. Check your smoke detector monthly, buy or replace old fire extinguishers, and get a carbon monoxide detector. Professionals can be of great help here, too. A general home inspector can point out trouble spots, and an annual chimney and furnace inspection is always a good idea. You can even have your home inspected for radon. In addition to safety maintenance, take the time to prepare your home for a disaster. Hurricanes, earthquakes, fires, and other events can be dangerous, and it’s best to be ready. Create a go-bag with cash, copies of important documents, and supplies you may need if you have to evacuate. You should also stock your home with water and food supplies in case of an emergency. Make an emergency plan with your family to choose escape routes, a meeting place, and a communication plan with a central contact. 5. Step up security. No one wants to think about burglary, but the fact is that it can happen to any home, anywhere. Even in a nice neighborhood. Take steps this year to make your home more secure, even if you’re not installing a full home security system. Lifehacker suggests making your home look more active during prime burglary hours (10 a.m. to 3 p.m.) by parking a second car in your driveway during the day and scheduling services like landscaping during these high theft hours. Homes that are more difficult to break into, including ones with loud dogs (or simply, “Beware of Dog” signs), deadbolt locks, and barred windows may prove to be too much trouble for would-be thieves. Set up security cameras or even rig up fake ones at prime entry points: your front and back doors and first floor windows. At night, you can improve security by making sure your home is well lit, using motion-detection sensors or flood lights. 6. Make a savings plan. 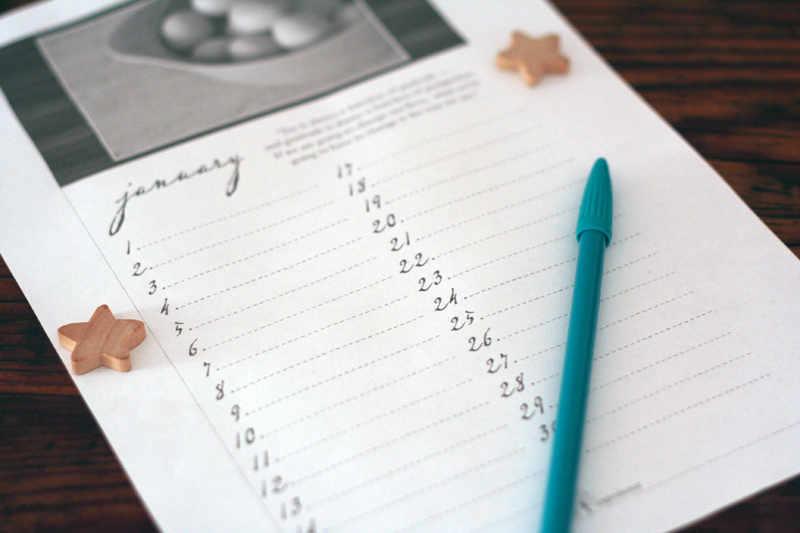 This year, make a home resolution to create a savings plan for your home and stick to it. There is always something that you can do, or need, for your home, and it’s much easier to take care of these wants or needs if you have cash stashed away and ready. Save up for your next home, install an addition, take on a new project, or invest in new furniture or appliances. There’s no end to the ways you can productively spend savings on your home. Start a Pinterest board for inspiration and motivation to keep you on track. And if you’ve underestimated home maintenance costs, you’ll be ready to address any problems with your home savings. A great home doesn’t happen overnight. But sticking to small home resolutions that make a big impact can make your home more comfortable, safe, and a better investment in your future. Resolve to do better in your home in 2014.